Contact your NEWA state coordinator before purchasing a weather station for use with newa.cornell.edu. 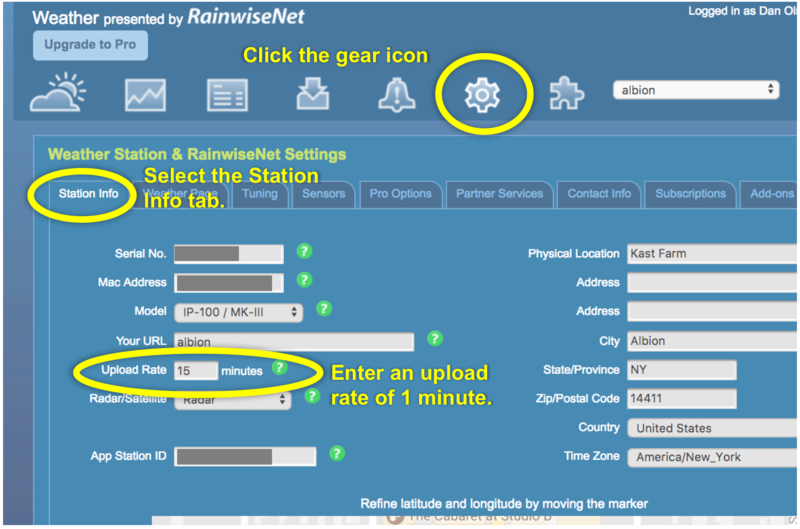 Several verification steps must be completed before NEWA can create a location at newa.cornell.edu using data from your rainwise.net weather station account. Finish these tasks before making a request to join newa.cornell.edu. 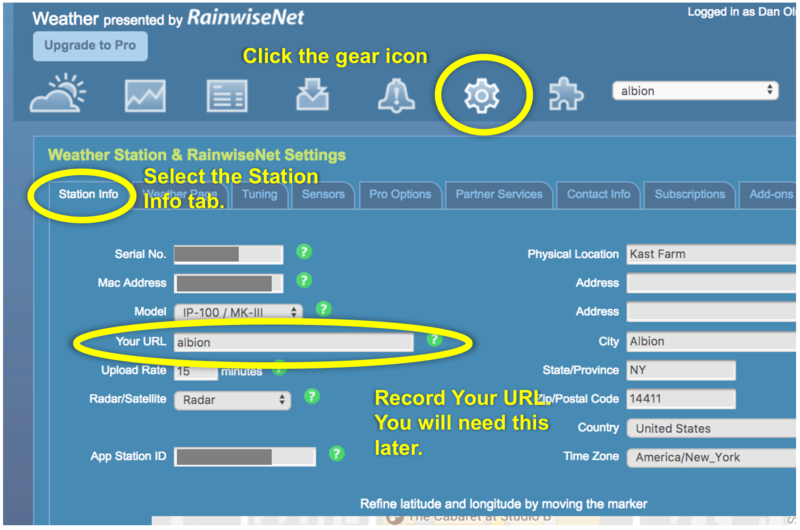 Go to rainwise.net and log in. Click the ‘Gear’ icon in the nav bar. Select the ‘Station Info’ tab. Find ‘Your URL’ and write this down. You will need it later. Click the ‘Gear’ icon in the nav bar. Select the ‘Station Info’ tab. Find ‘Upload rate.’ Change this the interval to 1 minute. Scroll to the bottom and save your settings. Click the ‘Gear’ icon in the nav bar. Select the ‘Sensors’ tab. 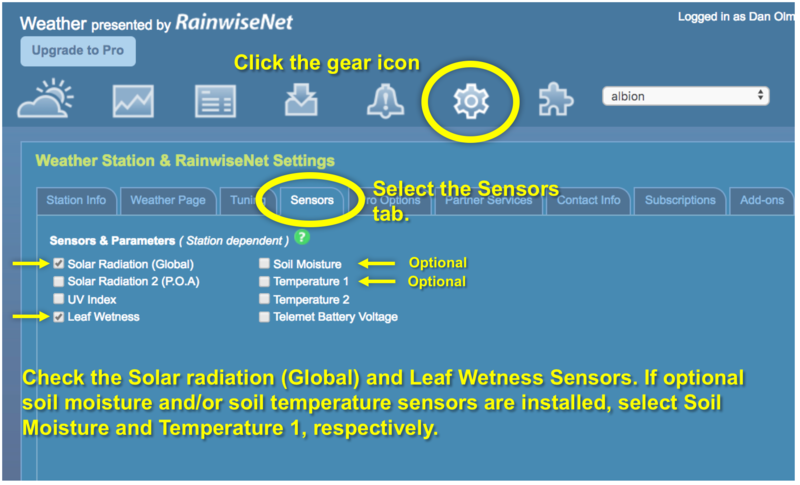 Check the ‘Solar Radiation (Global) and ‘Leaf Wetness’ sensors. If you installed optional soil moisture and soil temperature sensors, select ‘Soil Moisture’ and ‘Temperature 1’, respectively.